Posted on November 14, 2016 at 3:26 pm. Due to popular demand, APS is providing additional flu shot clinics during this month. All employees are eligible for a free flu shot. Please register for the flu clinic to receive priority scheduling. Walk-ins are also welcome. Please bring your employee ID badge. If you currently have CIGNA health insurance through APS, please bring your insurance information with you. Wednesday, Nov. 16: Wakefield High School, 1325 S. Dinwiddie St. from 3-6 p.m.
Monday, Nov. 21: Employee Assistance Program (EAP) at Thurgood Marshall, 2847 Wilson Blvd. from 3-6 p.m.
Click here to schedule an appointment (There may be a brief delay to download page). Walk-ins are also welcome. Walgreens will be the primary vendor providing the flu shots this year. 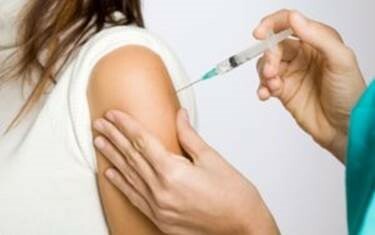 The influenza vaccine will include both the seasonal flu vaccine and the H1N1.